Get into the festive spirit and join us at London's Royal Albert Hall for one of the many sell-out performances of the John Rutter Christmas Celebration, featuring the world-acclaimed Royal Philharmonic Orchestra. The Royal Philharmonic Orchestra has the prestigious reputation of bringing audiences first–class performances and high standards across a varied musical repertoire. Think good food, good company, festive music and you’ve got yourself a wonderful pre-christmas evening. Join us in London on Tuesday just before Christmas and get into the festive spirit. We get the show on the road with an early evening welcome drink followed by dinner at 190 Queens Gate by Daniel Galmiche at The Gore Hotel in Kensington. After a delicious three-course dinner, we'll take the short walk to the Royal Albert Hall for our evening performance. John Rutter's Christmas Celebration is new to our music programme at The Royal Albert Hall. Popular with many, and finalist in the Group Travel Awards, this Yuletide favourite is there to spread festive cheer with a wonderful selection of seasonal jingles, tunes, rousing fanfares and much more. Get the yuletide merriment off to a cracking start! 190 Queens Gate is 10 minute walk from South Kensington Underground Station on the Piccadilly Line. 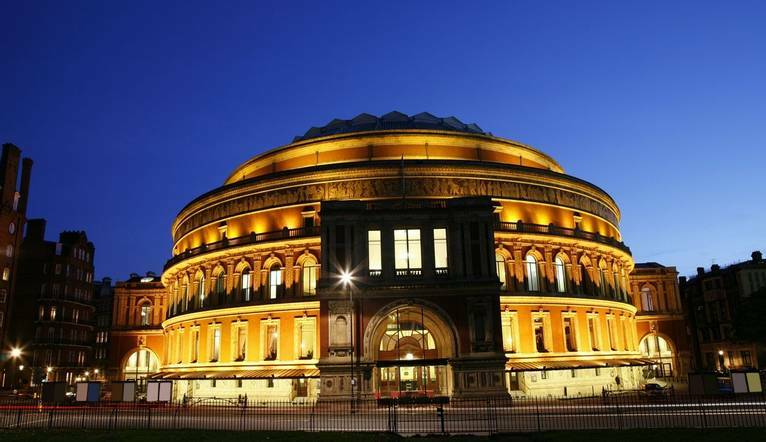 Royal Albert Hall is a 5 minute walk away. Dress will be smart casual, however, gentlemen are requested to wear a shirt and tie for dinner and the performance.